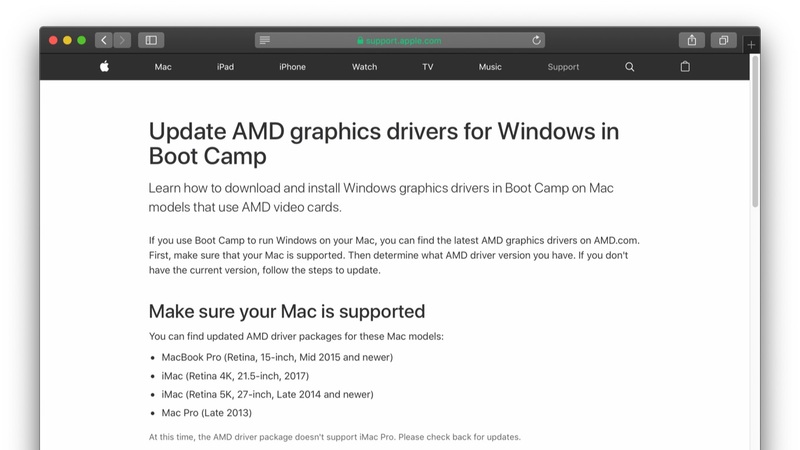 AMD製dGPUを搭載したMacにBoot Campを利用してWindowsをインストールした場合、最新のグラフィックス・ドライバはAMDの公式サイトからアップデート可能。 | AAPL Ch. 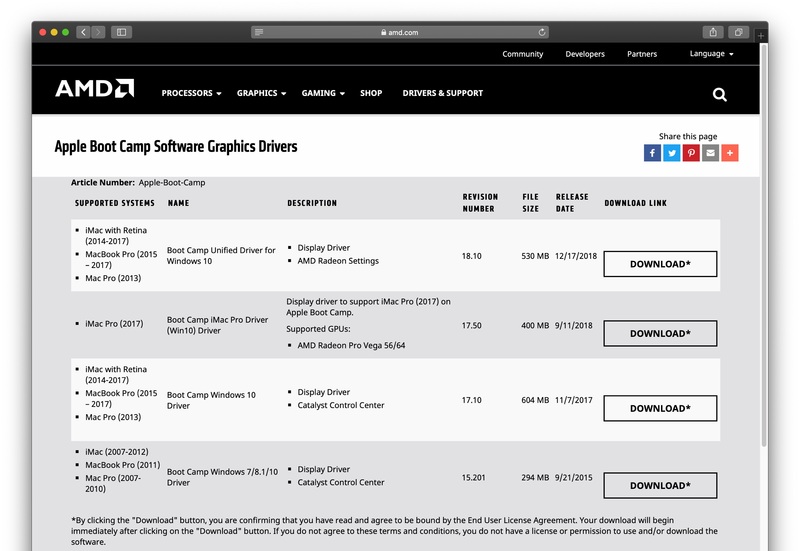 If you use Boot Camp to run Windows on your Mac, you can find the latest AMD graphics drivers on AMD.com. First, make sure that your Mac is supported. Then determine what AMD driver version you have. If you don’t have the current version, follow the steps to update.